Achieving excellence in how a website is presented (UI), and its capability to provide a good user experience (UX) are obvious objectives. Having the right tools to accomplish excellence you seek is the key in satisfying those objectives. To use the UI and UX tools effectively you must clearly understand of what these two entities consist of, and what is the best ways to approach them. Although the two terms are often confused with each other, they are, however, not the same. UI and UX design techniques are actually quite different from one another. In the following I’m going to showcase some of the most useful UI/UX tools and certain helpful tips that’ll enable you to create higly user-friendly interfaces. InVision is a digital product design platform that works the way modern design teams work. From rapid prototyping to user testing integrations, digital whiteboarding to easy developer handoffs, InVision positions product design teams to work collaboratively at every step of the process. You can create quick prototypes and conduct live reviews. 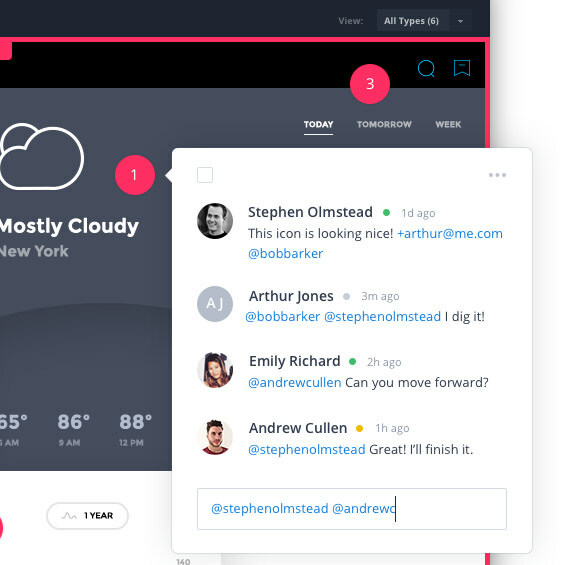 Its powerful automatic syncing, streamlined sharing and commenting feature, and security features mean InVision can scale with your design team and company. Invision’s direct commenting on the design. You can sign up for a free trial of InVision or InVision Enterprise according to your or your company’s requirements. Ever wanted to see how your final product will look like, long before your project is ready to wrap up? For this purpose Proto.io might be just the right tool for you. This tool allows you to do rapid prototyping and its interactive UI library makes static mockups and hotspot prototypes look primitive. Proto.io interactive Material Design UI library. You can use Proto.io’s drag and drop functionality to any UI element you’re working with. Since it works on your web browser, there is no need for constant downloading, and when a prototype is ready to be tested, you can do so on a real device to assess its look, feel and usability, while sharing your design with other project members. 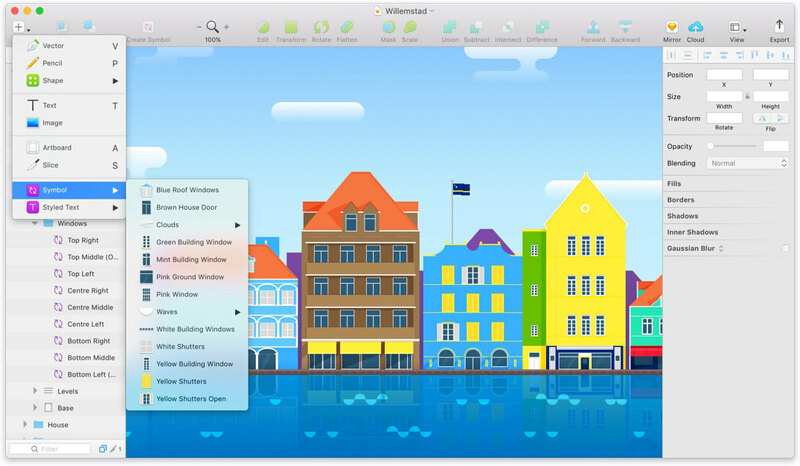 Sketch is a modern graphics design app that is quite easy to learn and use. It is a combination of a vector-based workflow, Boolean operations, pixel precise editing and smart resizing capabilities. You can create a lot of complex shapes without having to go through much hassles. The shapes you create can be edited, and adapted to any website layout or interface you have in mind. Notism combines prototype design, collaboration, and task management functions on a single platform. This UI/UX tool transforms static screens into interactive prototypes without writing a single line of code. You can create real-time video to share your prototypes and related project information. Notism assists task organization, and sees that your project stay organized. Information shared among co-workers and stakeholders is version controlled, which is important since Notism encourages rapid design and prototype iteration. 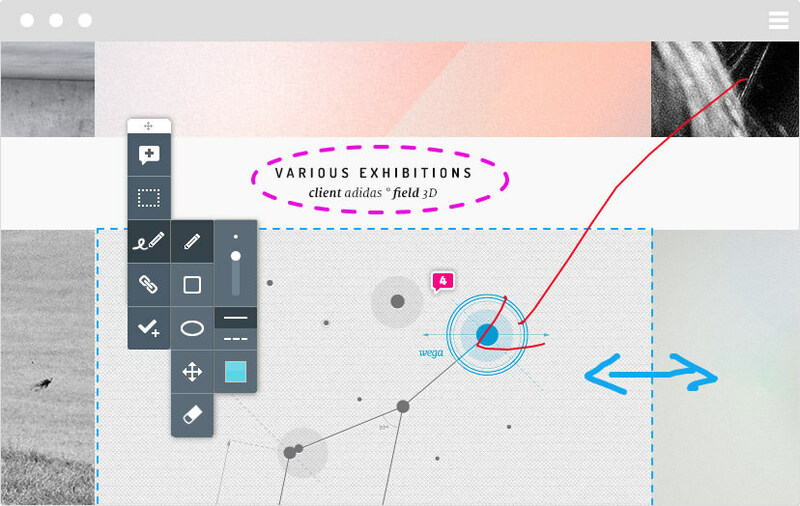 Special drawing tools allow sketches to be made directly on shared content. Notes and sketches can also be added to the video timeline. Notism commenting with a sketch. Great Simple has a lot of solutions if your problem revolves around trying to find good UI and wireframe kits, or a comprehensive set of core design elements. The product has been created with the objective of satisfying even the most demanding of designers. Their iOS Design Kit and the Material Design Kit, should definitely have a place in your toolkit, along with its free iOS and Android kits which have been downloaded more than 70,000 times. If you’re a Sketch user; no problem. Great Simple products are compatible with both Sketch and Adobe Photoshop. Internet users are pickier and more sophisticated when working with digital displays than was the case only a few years back. They quickly tire of having to put up with substandard experiences, something design agencies need to take note of. It’s imperative that these businesses consider the quality of these experiences’ but how do they go about doing that? A great user interface is invisible; or very close to it. That simply means that the only things a user sees are the things the user needs, and nothing more than that. Don’t try to be cute or clever. Make intuitiveness the objective. Your UI can do an excellent job of showing off your design skills, and what a good design entails; but in a very subtle way. 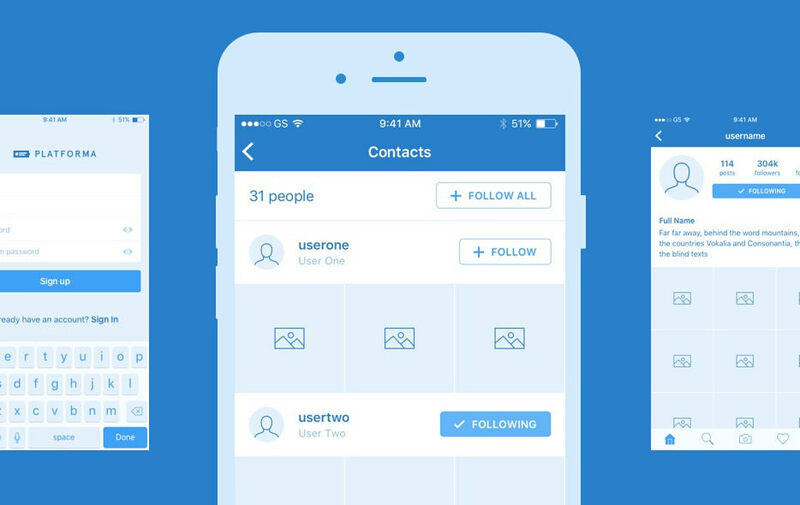 Users love UIs that consist of a skillful blending of clarity, simplicity, and conciseness. If users struggle to try and figure out what they should do next, they are more than apt to abandon your site and go elsewhere. Try to make buttons, icons and calls to actions easy to find; and make sure buttons are clearly and concisely marked. UI design should be directed toward making life easy for its users. A good UI allows users to carry out their tasks smoothly and efficiently. Efficient interaction is only possible when a UI design is free of distractions, and not loaded down with options that, while nice to have, could just as well be hidden until a need for them arises. Too much of anything is more apt to create confusion than solve problems. Consistency is one of the hallmarks good UI design. Users should not have to shift gears as they work their way through a session. They quickly develop a usage habit, and they want to be able to stick to it. They quickly learn where to look and what they need to do to move on. Don’t make your UI a challenge, or a puzzle to be solved. Users like familiar and easy to grasp messages, commands, and actions as they navigate through a website. You wouldn’t for example move the location of a shopping cart around from page to page, any more than you would change the content of a menu. Find a design pattern users will like, and stick to it. Designing a UI that is intuitive and straightforward from the user’s perspective is not without its challenges. You still need to keep user flow and key brand and product information in mind, which involves thinking in terms of UX design, or collaborating with a UX designer. Every design element you place on a page should have a role to play, but some are obviously more important than others. Implementing a visual hierarchy is simply a matter of highlighting the most important elements by making them bigger and/or brighter, and located where they will easily be found. Designing a website’s presentation, and the design techniques required for its usability and user satisfaction, involves different practices. The two entities are not one and the same, although they are often confused with one another. UI design is digital in nature and requires layout, element positioning, and editing tools. UX design is non-digital, and involves user testing and the use of user analytics. Both design tasks make use of prototyping, collaboration, and task management techniques.